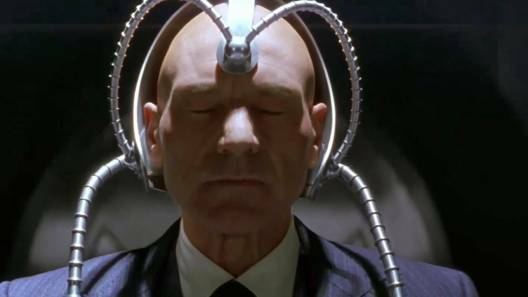 Scientists are one step closer to becoming mind readers after new research identified some of the complex brain patterns that go into forming sentences in our heads. Brain patterns generated by certain sentences could be predicted with 87 percent accuracy in the study, based on an ‘alphabet’ of 42 different concepts covering size, location, colors, actions, and other elements that make up complex thoughts. We should note that the researchers from Carnegie Mellon University can’t tell exactly what you’re thinking about, at least not yet – your secrets are safe for now – but their system is able to decode the types of thoughts you’re having based on brain scanning. That’s because different parts of the brain handle different types of thought, so certain neurons might fire for thinking about an object like a lightbulb, and other neurons might fire based on what you’re doing with it or what color it is. “One of the big advances of the human brain was the ability to combine individual concepts into complex thoughts, to think not just of ‘bananas’, but ‘I like to eat bananas in the evening with my friends’,” says lead researcher Marcel Just. The scientists used a custom-built algorithm to analyze scans taken from an fMRI machine to determine which kinds of thoughts triggered which kinds of brain patterns. The algorithm was then asked to predict thoughts for a new brain pattern. It’s similar to showing an artificial intelligence engine a hundred pictures of a dog to learn from and then asking it to decide whether a new picture shows a dog or not. In this case, the algorithm had 239 sentences and seven volunteers to work with, before being asked to decode a 240th thought, with different runs of the program leaving out a different sentence each time. One of the sentences was “the witness shouted during the trial”, involving both a subject of the thought, and a setting, and something the subject was doing. The scientists showed that the algorithm could predict how complex thoughts like this would be put together in the brain, and vice versa – working out types of thought structures based on neural activity. Identifying the building blocks of a thought as it’s shown in the brain is something that hasn’t been done before, and the researchers report that these blocks seem to be consistent no matter what the native language or culture of the person involved. “Our method overcomes the unfortunate property of fMRI to smear together the signals emanating from brain events that occur close together in time, like the reading of two successive words in a sentence,” says Just. We already have scanning technology that does a decent job of recognizing very simple patterns in the brain, like whether we’re thinking yes or no, but this latest research adds an extra layer of complexity to it. The algorithm could identify brain patterns linked to thoughts about a social interaction, for example, or a type of communication, or an event involving a physical place, with a high degree of accuracy. The study also expands on the use of smart algorithms to crunch through these brain patterns for us. Last year scientists used AI to match particular brain patterns with certain features on a face, so software is helping us get better at figuring out how certain brain activity matches up with our thoughts. For the time being though, computers, fMRI scanners, and expert scientists can’t tell whether you’re thinking about what’s for tea or what you had for breakfast – we’re just a little bit further down that road, which one day could be hugely helpful for people who can’t communicate in any normal way. The research has been published in Human Brain Mapping.